17'11" (5.5m) 4-bulkhead void-void-liquid-liquid torpedo protection with 0.625", lower armor belt, 0.625", and 0.875" (16mm, lower armor belt, 16mm, and 22mm) bulkheads from inboard to outboard, designed to withstand a 700 lb (318 kg) explosive charge and resist underwater shell hits. 17,600 to 31,200 yards (16,100 to 28,500 meters) vs. 16”/45 (406mm) light shell or 23,600 to 27,400 yards (21,600 to 25,000 meters) vs. 16"/50 (406mm) heavy shell. Below 12,200 feet (3700 meters) vs. 1600 lb (730kg) armor-piercing bomb. 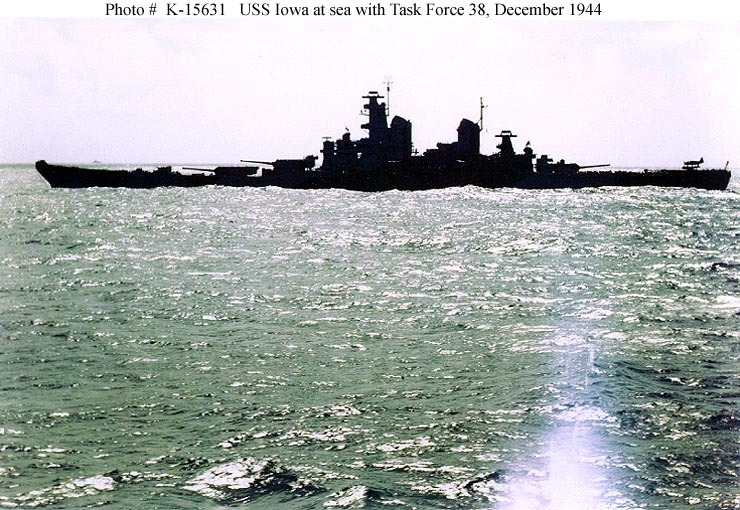 All but Iowa were completed with 20x4 40mm guns and 49x1 20 mm guns. Iowa continued to differ slightly in its light antiaircraft armament throughout the war. 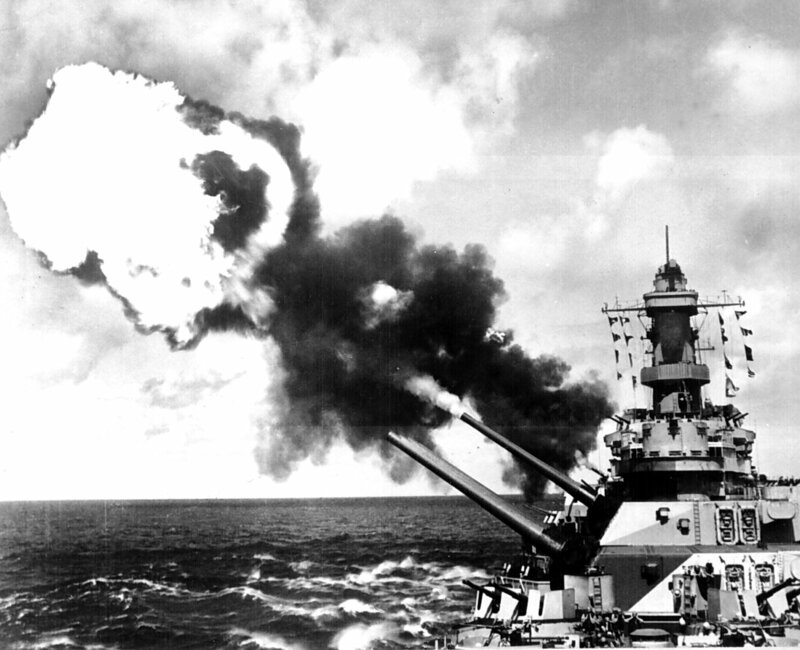 1945-4: Light antiaircraft increased to 20x4 40mm guns and 49x1, 8x2 20mm guns on all but Iowa. 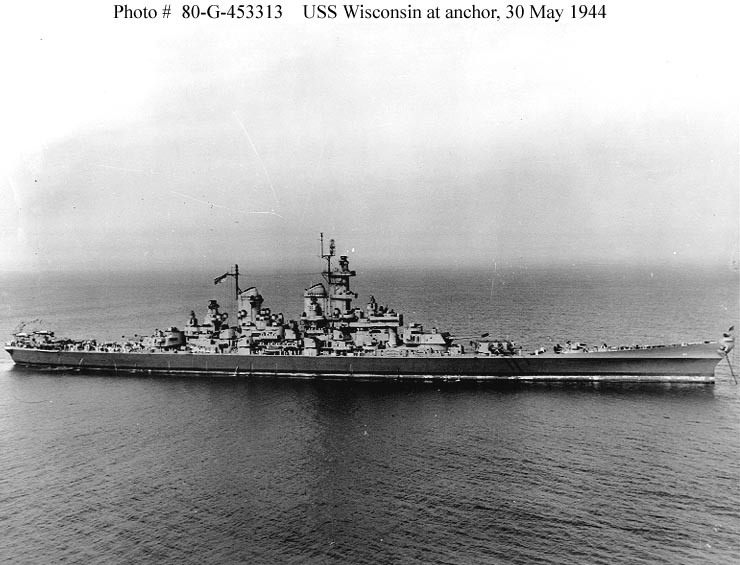 Iowa increased to 19x4 40mm guns and 52x1, 8x2 20mm guns. 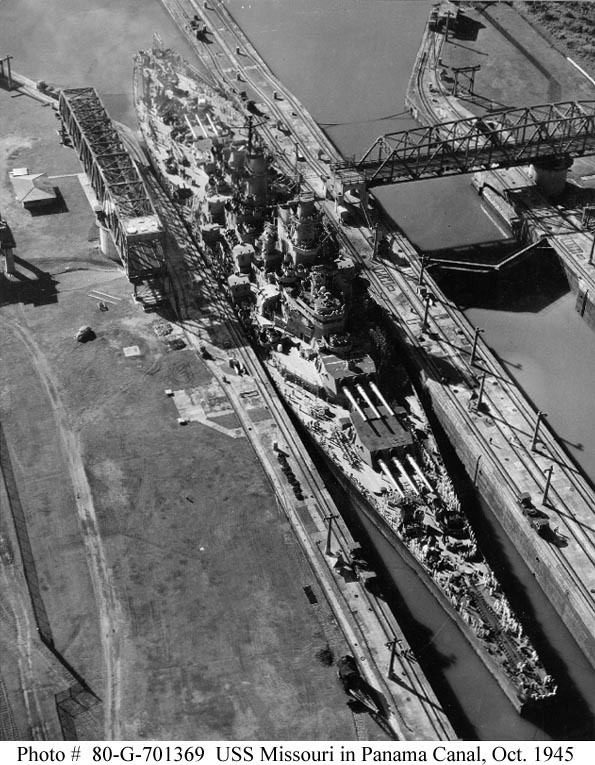 The Iowas were completed in 1943-44 in Navy yards and were arguably the finest battleships ever built, and certainly the best U.S. battleships. 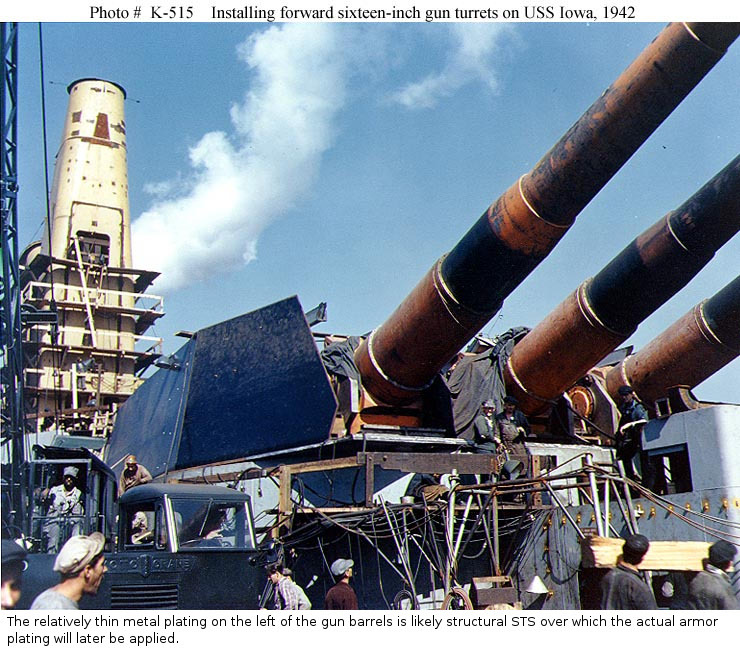 Design studies began in January 1938 and took full advantage of the escalator clauses of the naval disarmament treaties, which permitted 45,000 ton battleships armed with 16" (406mm) guns. An additional constraint on their design was the requirement that they be capable of transiting the Panama Canal. 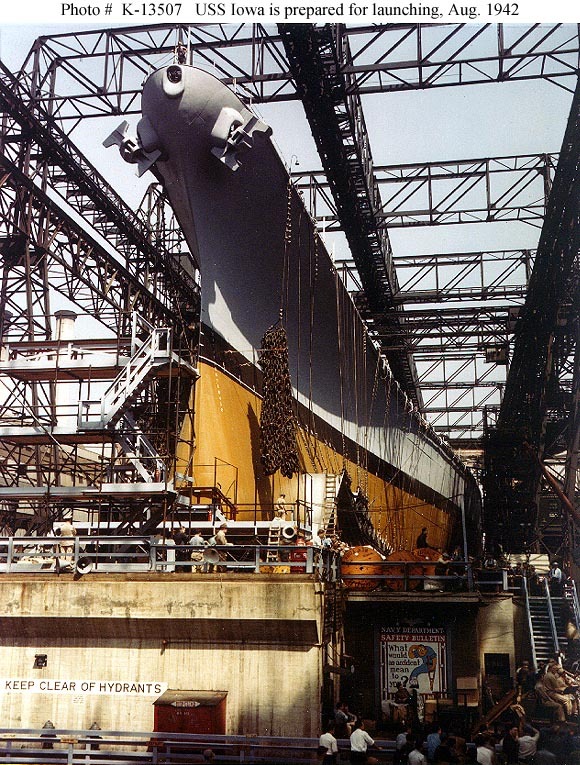 This drove the decision to use internal armor belts, since there was little possibility of designing a ship with adequate external belts that could fit through the Canal. The previous North Carolina and South Dakota classes had been designed to take advantage of the 16" gun escalator clause, but not the 45,000 tons displacement escalator clause. 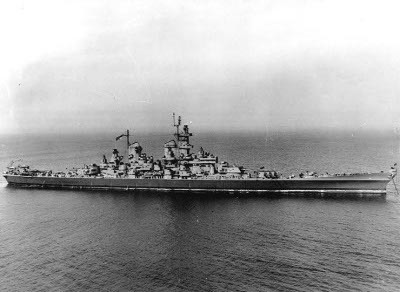 The Navy had been remarkably successful in meeting its design goals on a 35,000 ton displacement, particularly in the case of the South Dakotas, which were arguably the most cost-effective battleships ever built. 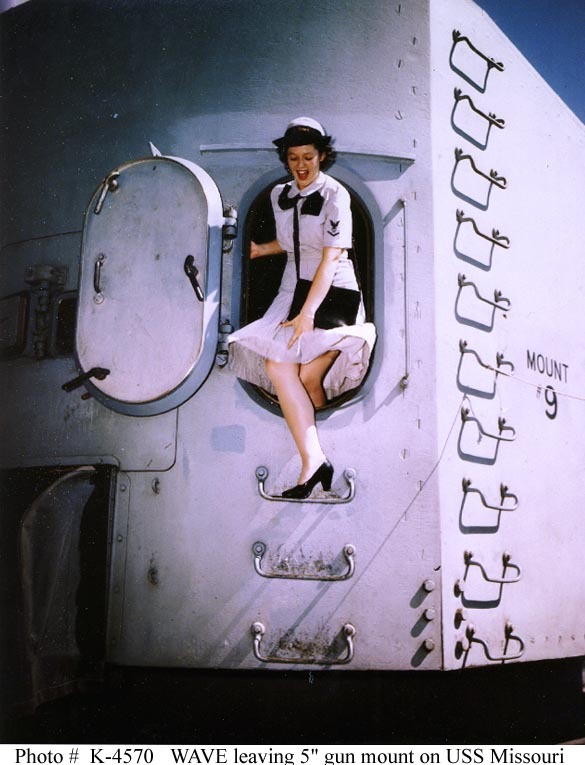 In the case of the Iowas, the question before the Navy designers was how make best use of the extra 10,000 tons. Two schools of thought emerged. 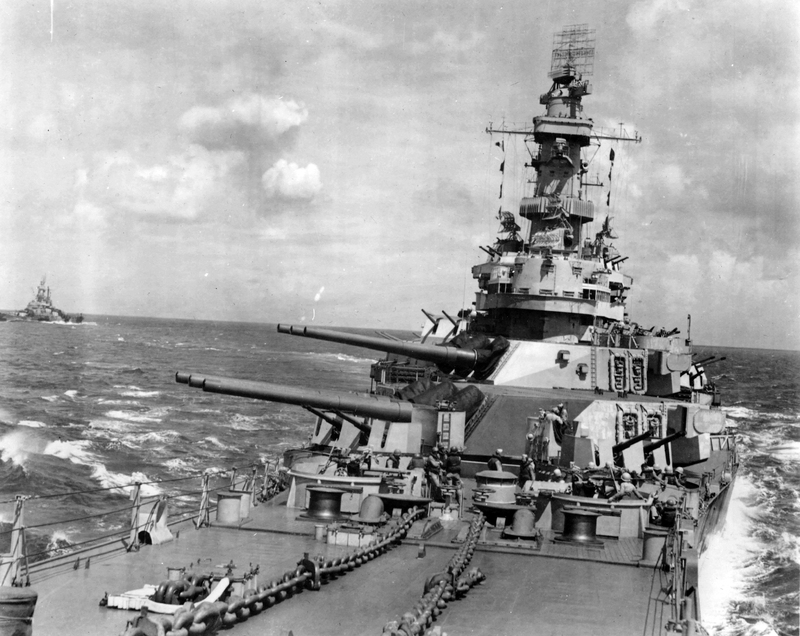 The "slow battleship" school argued for using the extra displacement to increase protection and firepower even at the cost of speed. This concept was eventually approved in the form of the Montanas, which somewhat resembled the Japanese Yamatos, and whose large beam anticipated plans to widen the Panama Canal. 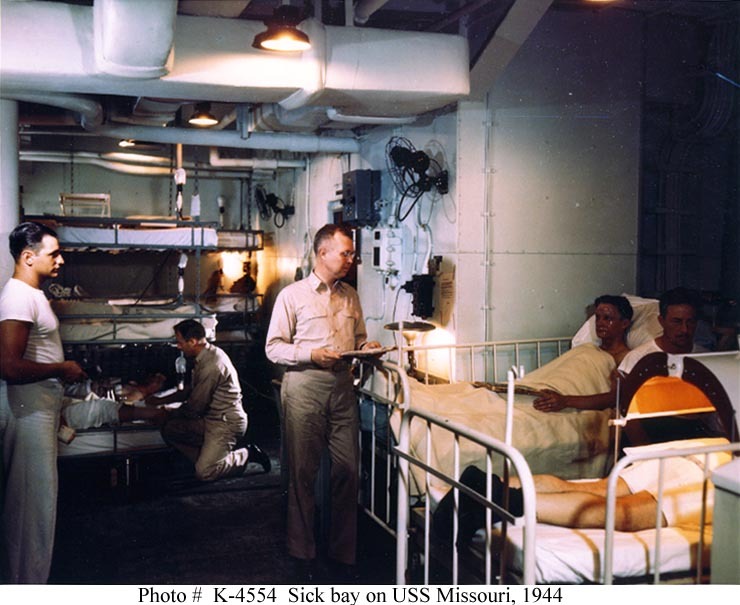 However, the Montana program was postponed and then canceled before any of the ships were laid down. 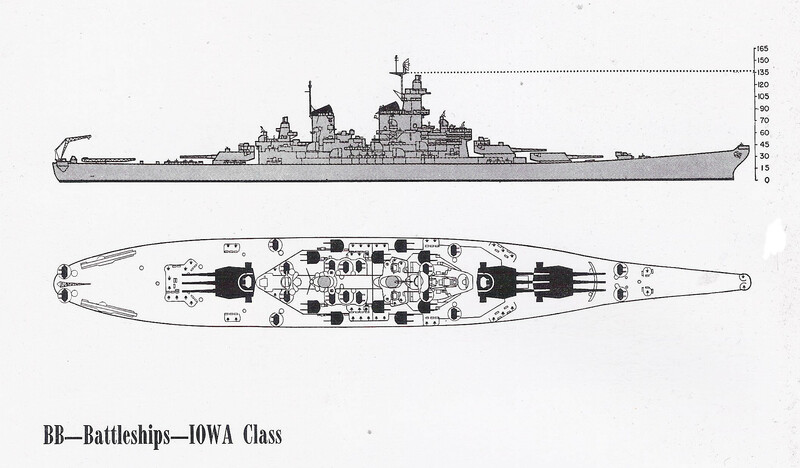 The other school of thought, the "fast battleship" school, argued for using the extra displacement to increase speed and endurance, and this concept was approved as the Iowa class. The design process was not entirely smooth. 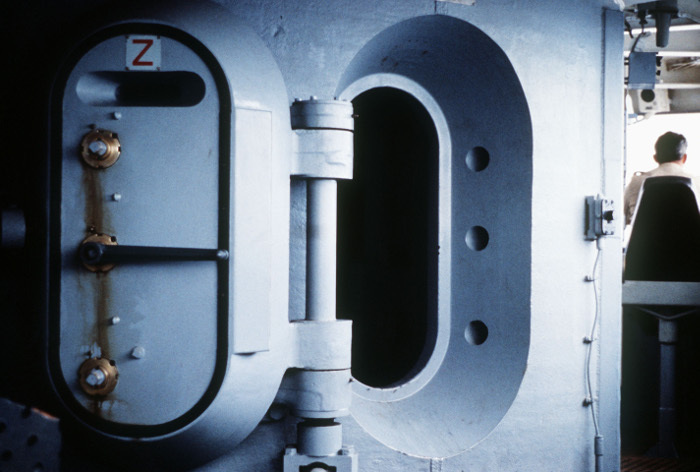 The underwater protection system was based on that of the South Dakotas and suffered from the same difficulty with the armored bulkhead. Once the difficulty was discovered, the only solution was to liquid load the outer tanks rather than the inner tanks. 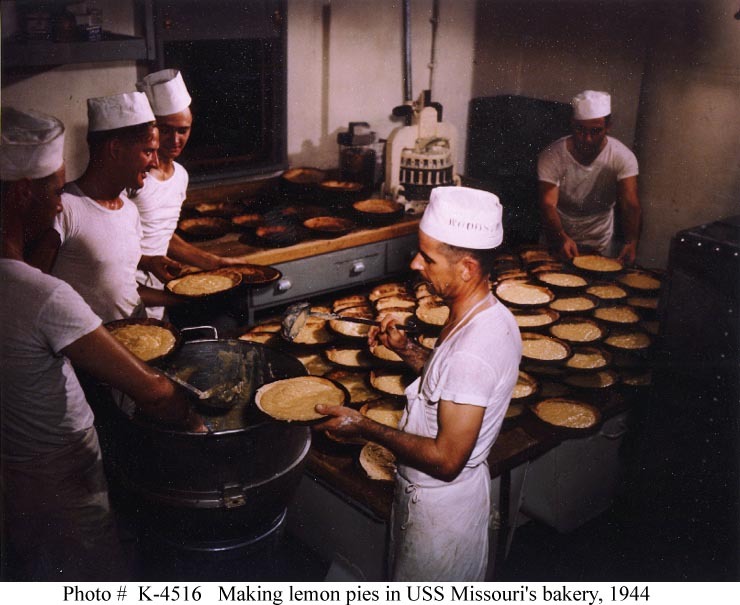 Another difficulty was a nearly disastrous miscommunication which left the Bureau of Ordinance designing turret barbettes with a diameter of 40' (12.19m) and the Bureau of Construction and Repair designing the hull for turret barbettes that were 39' (11.89m) in diameter. 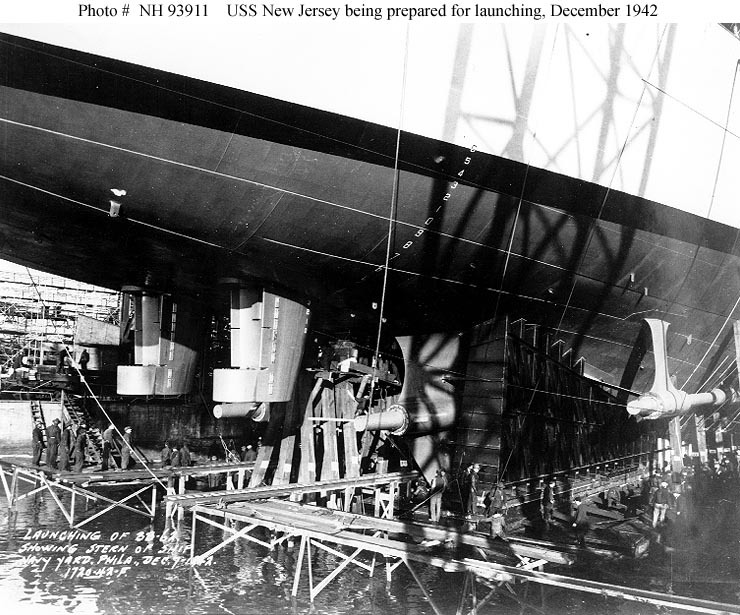 The discrepancy was discovered too late in the design process for the hull form to be modified to accommodate the larger barbette, and the Navy was forced to abandon the use of the heavy but reliable Mark II gun in favor of a new lightweight gun, the Mark 7 in a redesigned turret. Fortunately, the Mark 7 proved to be an excellent weapon. Another late revision in design came from a suggestion by New York Navy Yard that the four large machinery spaces that were originally planned be broken into eight spaces, one for each set of machinery and for each pair of boilers, at the cost of a slight increase in beam. This gave the ship excellent subdivision and was judged well worth the cost. Thanks to improvements in machinery and hull form, the Iowas were as fast as battle cruisers, and a full full six knots faster than the South Dakotas or their arch-rivals, the Yamatos. 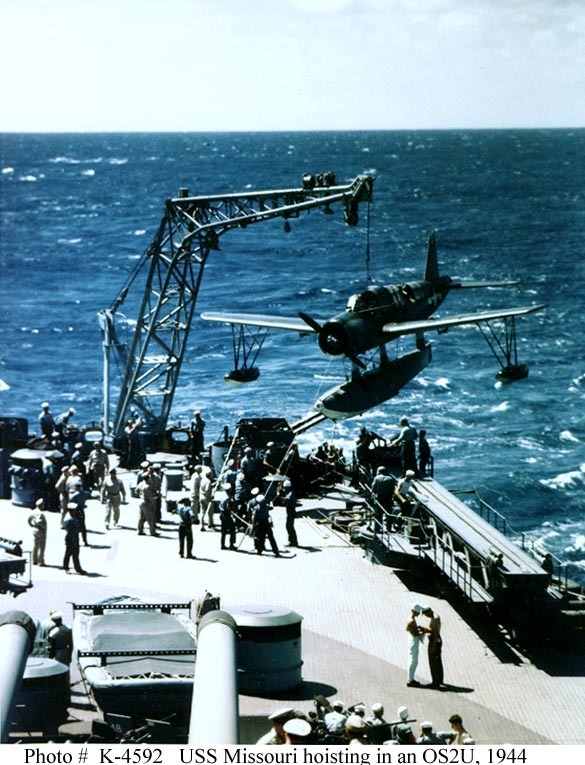 This made the Iowas excellent escorts for the fast carrier task forces that dominated the Pacific War. This may seem foresighted, considering that that the concept was approved in April 1938, but it was more a fortuitous response to an international trend toward fast battleships than any prescience regarding the future role of carriers. 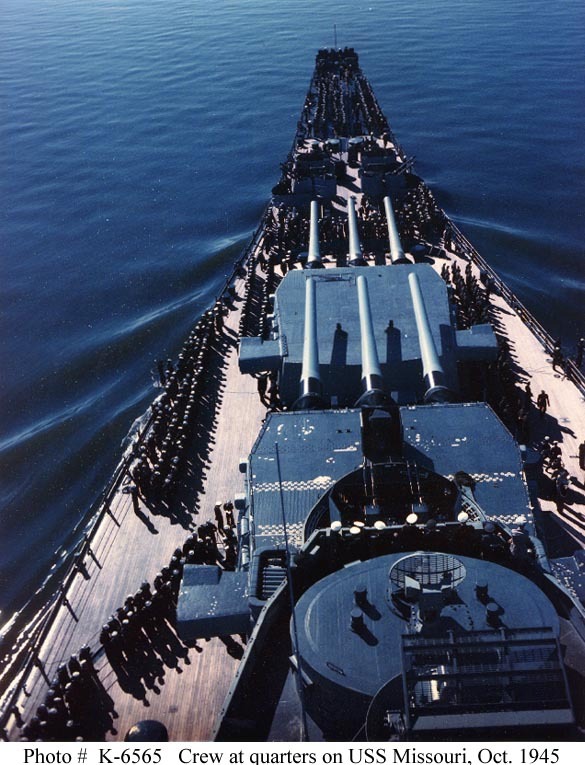 The Iowas had nearly the same armament, armor, and underwater protection as the South Dakotas, but were less cramped. Their armor belts were thinner than the Yamatos, but were better arranged and made of slightly superior alloys. 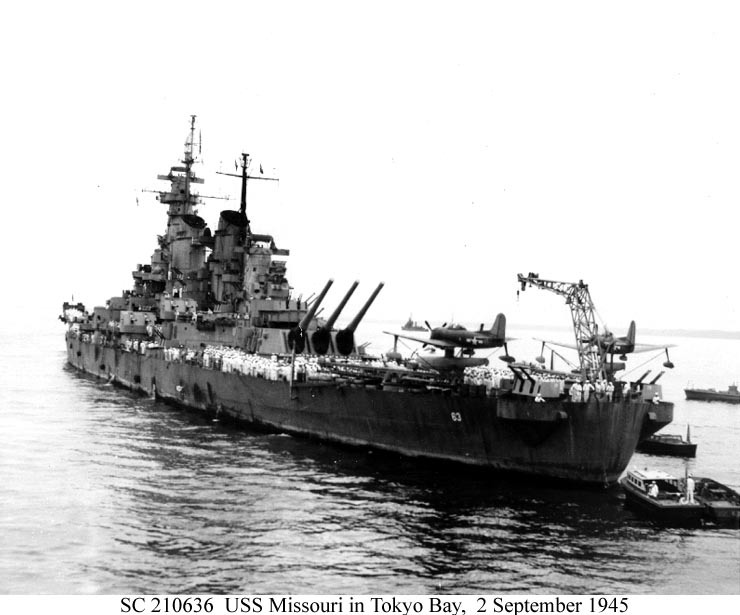 The Iowa main armament was two inches smaller in caliber than the massive 18" guns of the Yamatos, but had excellent ballistic performance and penetration, a higher sustained rate of fire, and much better fire control. The Iowas also had a much superior antiaircraft battery, built around radar-guided and –fused 5”/38s and forests of 40mm and 20mm light antiaircraft guns. Each set of machinery consisted of a high-pressure turbine with one Curtis stage and eleven Parsons stages and a low-pressure turbine with six Parsons stages. The low-pressure turbine had an astern section consisting of a single Curtis stage. 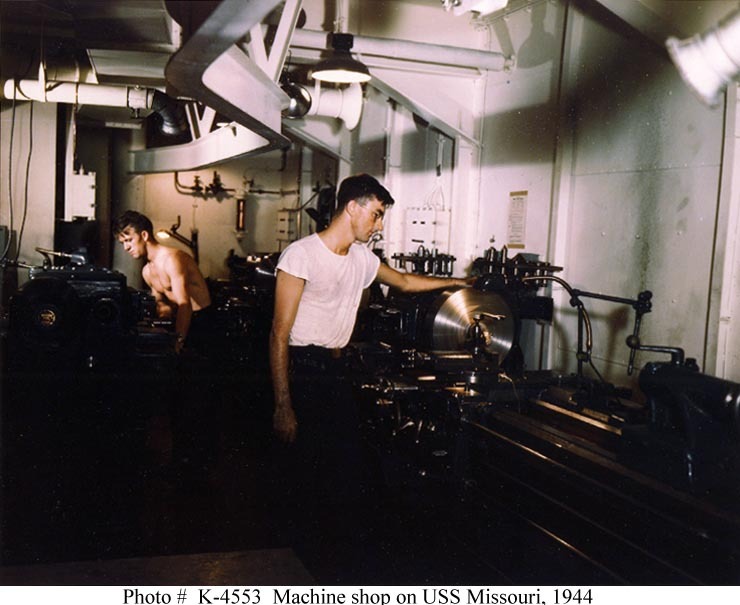 Each high-pressure turbine was supplied with steam at a pressure of 565 psi (3.90 MPa) and a temperature of or 850 F (454 C) from two M-type boilers. The reduction gearing for the high-pressure turbine had a reduction of 24.284:1 and that for the low-pressure turbine had a reduction of 19.369:1. Auxiliary power was provided by eight 1250 kW generators. 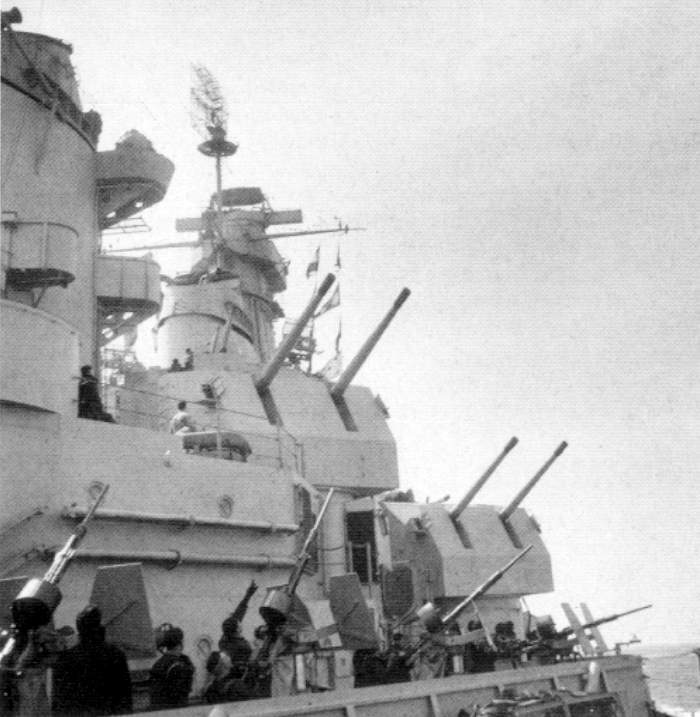 Fire control for the main battery was provided by two Mark 38 directors, each with 1.5" (38 mm) of STS splinter protection, backed up by rangefinders in each turret. The other elements of the fire control system were located in a plotting room in the armored citadel. By the time the ships were completed, Mark 8 radar had become a standard part of the Mark 38. The 5" battery was directed by four Mark 37 directors and the 40mm battery by Mark 51 directors near each mount. 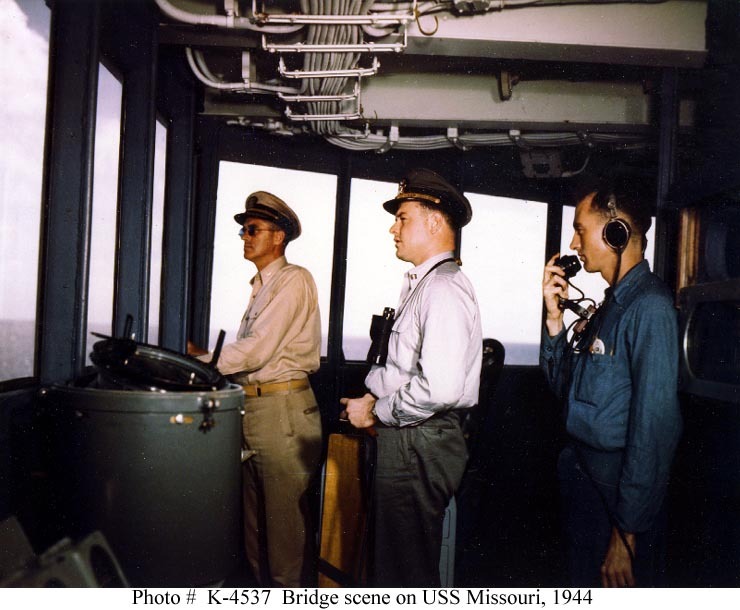 In addition to the air and surface search radars listed above, the Iowas received SPT-1 and SPT-4 directional jammers in 1944 to foil enemy radar. If the Iowas had a weakness, it was their fine lines, which rendered the bow wet and vulnerable to damage. Though widely regarded as arch rivals, the Iowas and Yamatos never tested each other in combat. 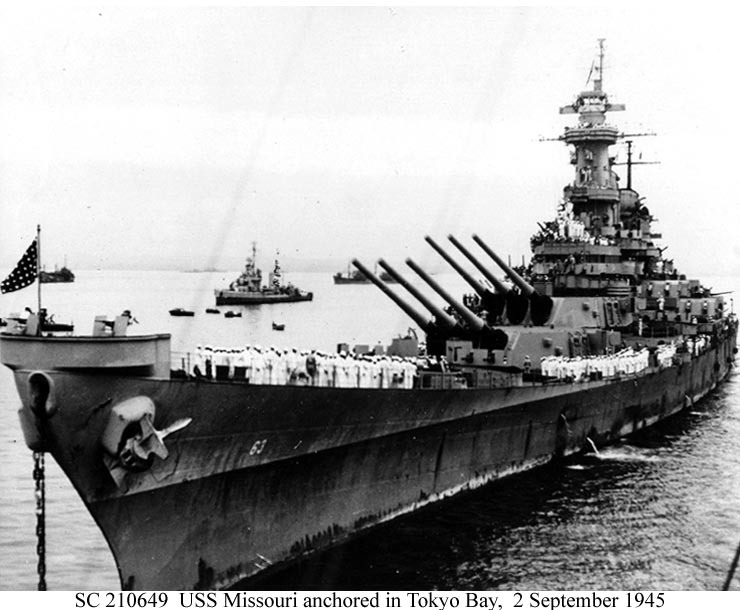 The closest they came was at Leyte Gulf; but Halsey took the Iowas north to chase the Japanese decoy carriers, while Kurita took the surviving Yamato south in a vain effort to engage the American amphibious forces. The Iowas proved remarkably adaptable to modernization, and were brought out of mothballs to serve in most of the serious conflicts of the last half of the 20th century. The last two units were finally retired for good in 2006, though, since all the Iowas became museum ships rather than being scrapped, it is barely possible they will yet see combat again.